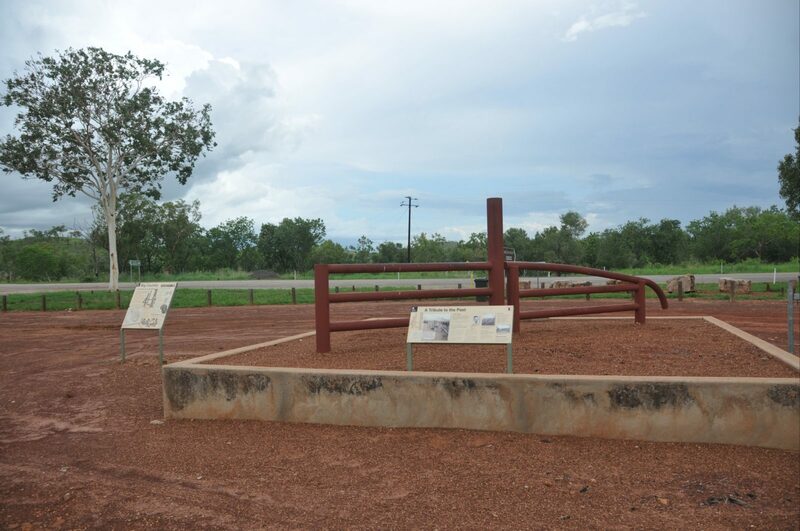 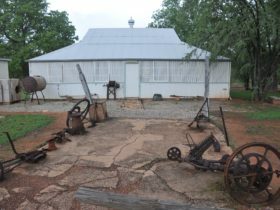 This memorial commemorates the pioneering Durack family of the VRD region who established the cattle industry with invaluable assistance from local Aboriginal people. 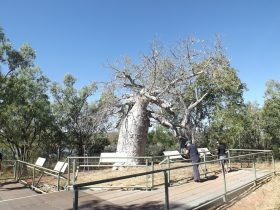 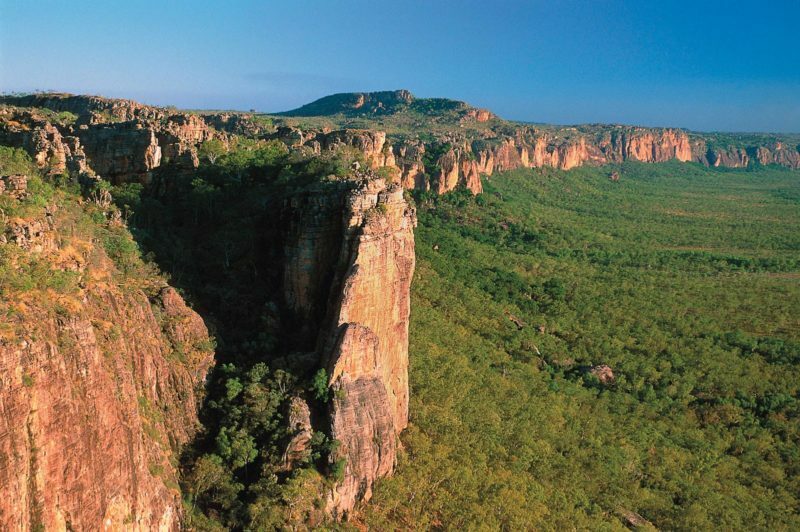 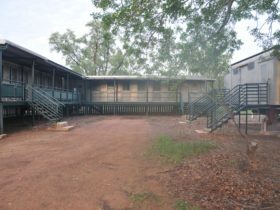 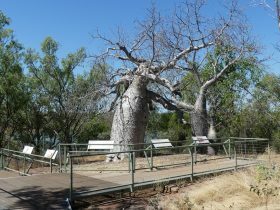 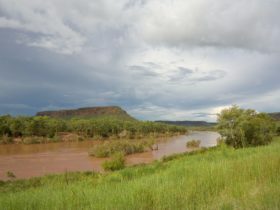 In the 1880s the Duracks and their associates established land holdings from the Ord River Valley in Western Australia eastward to this point and beyond. 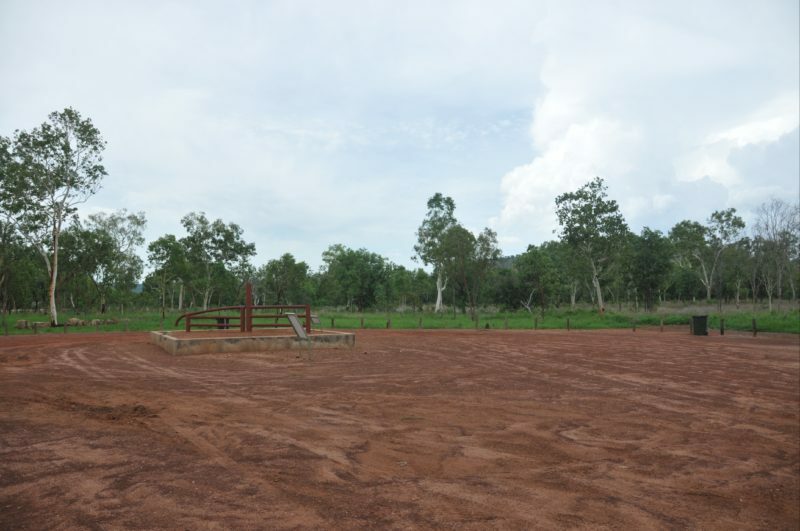 The memorial takes the form of a ‘bronco panel’ sitting inside a raised concrete walled area, which is filled with the soil that so typifies the VRD. 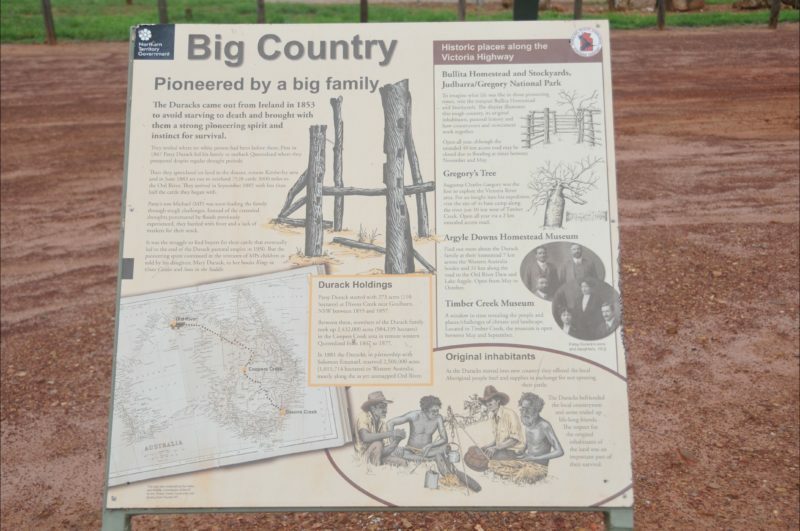 The Durack memorial is located off the Victoria Highway some 10Km before Timber Creek.